For more than 10 years, Justin Ahrens has led Rule29 in the firm’s commitment to “making creative matter®.” Through a collaborative approach to both strategy and design, Rule29 has fostered a culture that encourages involvement in many social causes. This is particularly evident by the company’s involvement in numerous social causes, including their substantial work in Africa. Ahrens has also been a consistent voice for the design community as it relates to balancing life, design and business. His obsession for design is only overshadowed by his passion for being home with his wife, Sarah, and their four amazing kids (who think Dad’s job is listening to music, drawing pictures and playing on the computer). Ahrens has also been a consistent voice for the design community on balancing life and career: he’s the author of Life Kerning: Creative Ways to Fine Tune Your Perspective on Career and Life. Debbie Aung Din is cofounder of Proximity Designs, a nonprofit social enterprise operating in Myanmar (Burma). Proximity Designs makes and sells products and services that provide a path out of poverty for rural families. Proximity operates a full-scale design lab staffed with professional product designers. Products are designed for extreme affordability and typically boost productivity and incomes by $200–$300 so families can afford basic necessities. Proximity delivers products to rural customers through a vast network of independent agro-dealer shops and village service providers. Since 2004, over 180,000 products and services have been purchased by rural households. Aung Din is a native of Myanmar and has lived and worked in Mississippi, Cambodia, Indonesia and Myanmar. She has worked for a variety of organizations including nongovernmental agencies, local community groups, USAID, the United Nations and the World Bank. Aung Din holds a Masters degree from Harvard University where she studied public policy and development economics. David C. Baker, ReCourses, Inc.
David C. Baker is the author of Managing (Right) for the First Time and a leading management consultant for the creative services field. Through ReCourses, he has guided hundreds of firms through management issues, difficult transitions and growth. He has written for nearly every industry publication and has spoken at nearly every industry conference and conducts a dozen yearly seminars on specific management topics. Baker’s work on management topics is unusual, thoughtful and frequently contrarian but it stems from working in the trenches and looking at what really works. He provides objective, expert advice on best practices, either for existing problems or to plan against future ones. You may already know what he points out, but he will put the pieces into context, save you from experimenting and bring solutions that may not have occurred to you yet. Baker will gently pull you out of the marinade of indecision and warm up the grill. Banny Banerjee is associate professor in the Design Group, Mechanical Engineering Department at Stanford. Banerjee teaches strategic design and innovation at Stanford d.School and the Stanford Design Program. His work involves generating innovative trans-disciplinary processes to tackle scaled transformations in complex challenges at the nexus of human, environmental and economic concerns. He is the founder and director of the Stanford ChangeLabs, which is simultaneously a platform for research on large scale transformation, an incubator for initiatives and a node of a global network of institutions working on systemic transformations. He has worked in the fields of architecture, mechanical engineering, product design, entrepreneurship, ubiquitous computing, technology based interactive art, organizational transformation, innovation strategy, policy design, developing world issues and environmental sustainability. Gaby Brink is the founder, CEO and chief designer of Sparkwise and Tomorrow Partners, where Sparkwise was incubated. She leads an inter-disciplinary team that collaborates with future oriented entrepreneurs and organizations to innovate and build design driven tools and services for positive change. A globally celebrated designer, Brink serves on the Board of Directors of AIGA, the largest and oldest professional design association. She co-authored The Living Principles for Design, the first integrated framework to provide a systems approach to environmental, social, economic and cultural sustainability for designers of all disciplines. Through these leadership roles, she fosters dialogue and collaboration amongst the global design community to co-create tools and best practices for design as a catalyst for positive cultural change. Sarah Brooks is a design strategist and director of social innovation at Hot Studio, where she joined in 2011 to build a practice supporting mission-based businesses. She has an extensive background in using radical creativity, imagination and systems thinking to develop products and services that engage and transform. Over the last fifteen years, Brooks has worked with numerous entrepreneurs and organizations of all scales including Alter Eco, CNET, Code for America, The Contemporary Jewish Museum, FORA.tv, Hub/SOCAP, NetSquared, Nokia, PopTech, the REXpedition, Skoll Foundation and Zinio, amongst many others. Brooks graduated from Boston University where she studied Literature and Film; from California College of the Arts where she studied Textiles, Sculpture and Printmaking; from FIDM where she studied Fashion Design; and she conducted Graduate Studies in Clinical Social Work at Columbia University. 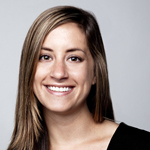 She is a design columnist for Shareable magazine, and profiles social and science innovation fellows for PopTech. In her free time she makes art, practices meditation and yoga. Jordan Clare-Rothe is a recent graduate of the MFA program in graphic design at Academy of Art University. Prior to attending graduate school, he worked providing support for adults with disabilities. He combined his experience in social services with his design skills for his graduate level thesis project, Image Engine, a platform for building visual supports for children with autism. While in graduate school he was the membership officer for Academy of Art University's AIGA student group, and planned a poster competition to raise money for Japan's recovery from the 2011 tsunami. Currently he is the brand communication intern at Smart Design where he continues to build his chops designing for people. Morgan Clendaniel is the founding editor of Co.Exist, Fast Company’s website about world changing ideas and innovation, which launched in late 2011. Clendaniel has spent his career covering the rise in prominence of social entrepreneurship and responsible business, following the innovators and organizations that are making social good a vital component of the business world. 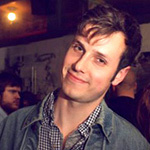 Prior to Fast Company, Clendaniel was one of the founding editors of GOOD, and served as the deputy editor there for five years. During his tenure, the magazine was nominated for multiple National Magazine Awards, including a “Best Section” nomination for his work on the magazine’s infographics. He is also the editorial director of the email newsletter Very Short List and his work has appeared in numerous other publications. Drew Davies, Oxide Design Co.
Drew Davies is the founder and design director of Oxide Design Co., a communications and information design firm established in 2001. Davies is honored to serve on the national board of directors of AIGA, the professional association for design. He also serves as the design director for AIGA’s Design for Democracy initiative. He was on the core design and research team that developed the U.S. Election Assistance Commission’s official election design standards, and continues to be actively involved in implementing best practices for ballot design on a nationwide basis. Along with the team at Oxide, Davies recently juried and authored Letterhead + Logo Design 12, an international collection of exemplary design work. He also has the distinction of being the only Nebraskan ever to serve as a judge for the Communication Arts Design Annual, the most exclusive major design competition in the world. 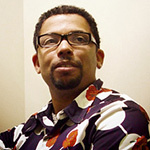 Davies was recently named to Graphic Design: USA's list of People to Watch in 2012. Sachi DeCou is a creative agent, strategist, researcher and cofounder of juabar, a solar powered community power hub and micro economic development tool. Her work and passions focus on the intersection of society, technology and design. Since 2001 she has worked in the U.S. and abroad to address urban transportation challenges through the design and fabrication of unique interactive installations and the development of social programs, which engage the public around urban design and sustainability. She is currently focused on the creation of market-based solutions to development challenges, codesigning directly with users while leveraging technology as a tool. She experiences the world as an avid cyclist and adventurer with a passion for discovery. She holds a BA from Hampshire College and an MBA in design strategy from California College of the Arts. David J. Erickson is director of the Center for Community Development Investments at the Federal Reserve Bank of San Francisco and edits the Federal Reserve Journal Community Development Investment Review. His research areas in the Community Development Department of the Federal Reserve include community development finance, affordable housing, economic development and institutional changes that benefit low-income communities. Erickson has a Ph.D. in history from the University of California, Berkeley, with a focus on economic history and public policy. He also holds a master’s degree in public policy from Berkeley and an undergraduate degree from Dartmouth College. He has also been a leader in the collaboration between the Federal Reserve and the Robert Wood Johnson Foundation on bringing health together with community development. To date, this collaboration has resulted in 10 conferences around the country and numerous publications, including a cluster of articles in Health Affairs in November, 2011. His book on the history of community development, The Housing Policy Revolution: Networks and Neighborhoods, was published in 2009 by the Urban Institute Press. His most recent book, an edited volume, is titled Investing in What Works for America’s Communities: Essays on People, Place, and Purpose. Robert Fabricant is vice president of creative for frog in New York, where he leads multidisciplinary design teams for clients such as BBC, Comcast, GE, MTV, Nextel and Nissan. He has developed user experiences for numerous digital platforms, including handheld devices, in-car information systems, medical devices, retail environments, networked applications and desktop software. Fabricant is a leader of frog’s healthcare expert group, a cross-disciplinary global team that works collectively to share best practices and build frog’s healthcare capabilities. An expert in design for social innovation, Fabricant recently led Project Masiluleke, an initiative that harnesses the power of mobile technology to combat the world’s worst HIV and AIDS epidemic in KwaZulu Natal, South Africa. He leads frog’s Mobile Mandate, a collaborative platform leveraging frog’s expertise in mobile technologies to create social impact. Launching Mobile Mandate, frog had entered a strategic collaboration with UNICEF for Health programs focused on maternal/infant health and welfare. Fabricant is an adjunct professor at NYU's Tisch School of the Arts where he teaches a foundation course in Interaction Design. In 2009, he joined the faculty of the School of Visual Arts in New York and is a faculty member of the Pop!Tech Social Innovation Fellowship Program. A regular speaker at conferences and events, and is a frequent contributor to a wide variety of publications, including I.D. Magazine, The Wall Street Journal and Wired. Innovator, artist, protagonist, and positive provocateur—Maria Giudice has pursued a vision of intelligent, elegant, people-centered design throughout her professional life. Under Giudice's leadership, Hot Studio, the experience design firm she founded in 1997, has grown from a two-person outfit into a full-service creative agency with offices in San Francisco and New York City. Along the way, Hot has been named to Inc. Magazine’s Top 5,000 fastest-growing businesses every year since 2008, and in 2011 was inducted into the San Francisco Business Times’ Hall of Fame. Known for her candor and wit, Giudice has spoken at conferences throughout the U.S. and abroad, including TEDxPresidio, SXSW and AIGA’s Design Conference. 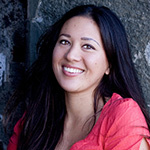 She teaches regularly at the University of Hawaii at Manoa and in California College of the Arts’ DMBA and MFA programs. Giudice holds a BFA from Cooper Union and is co-author and designer of several award-winning books, including Elements of Web Design and Web Design Essentials. In 2012, she was named an AIGA Fellow. Shoshanah Goldberg-Miller is a fundraising, arts management and marketing professional with over twenty years of experience in nonprofit administration, major gifts and corporate sponsorship. Goldberg-Miller teaches graduate and undergraduate-level courses in cultural policy, media management, arts administration, fundraising, grantwriting and management for urban planners at The New School, Hunter College and Columbia University. She has been on the executive team at many prominent nonprofit organizations, including The Paley Center for Media, American Cancer Society, Greenwich House Pottery, March of Dimes, American Museum of Natural History, and Museum of Holography. Dr. Goldberg-Miller is a featured speaker at conferences and workshops, and as a management consultant serves clients including Aspen Institute, Socrates Sculpture Park, Smack Mellon Gallery, MoMA, National Geographic, Sesame Workshop and Polaroid. Richard Grefé is the CEO of AIGA, the professional association for design. He is generally involved in all of AIGA’s activities, although his major contributions are in strategy, formulating new initiatives to enhance the competitive success of designers and advocating the value of design. Grefé earned a BA from Dartmouth College, crafted books at Stinehour Press, spent several years in intelligence work in Asia, reported from the Bronx County Courthouse for AP, wrote for Time magazine on business and the economy and then earned an MBA from Stanford Graduate School of Business. Following a career in urban design and public policy consulting, Grefé managed the association responsible for strategic planning and legislative advocacy for public television and led a think tank on the future of public television and radio. He has been at AIGA since 1995, developing programs that reinforce the relevance of design as an extraordinary creative gift and a critical element of business strategy. Phil Hamlett has more than 24 years of experience in a wide variety of design and communications roles. Currently, he is ensconced as a design educator at the Academy of Art University in San Francisco, the largest private art and design school in the country. Hamlett's students emerge from the MFA program as advanced design practitioners and go on to acquire positions at the highest levels of the profession. Prior to the Academy, Hamlett was communications director at Turner & Associates in San Francisco, and in a previous life, a principal and director of creative services for EAI/Atlanta. Regardless of where he is found, Hamlett is adept at identifying creative challenges, distilling core objectives and then facilitating the development of the creative teams, key messages, conceptual frameworks and communications vehicles best suited to address those challenges. Additionally, as the founder of Compostmodern and a co-author of The Living Principles for Design, he sets the agenda for sustainable business practices within the design community at large. Cheryl Heller works with business leaders to transform organizations and industries—eliminating complexity, developing strategies and campaigns that energize communities and shift behavior. She has helped grow businesses from small regional enterprises to multi-billion global market leaders, launched category-redefining divisions and products, reinvigorated moribund cultures, and designed strategies for dozens of successful entrepreneurs. She has founded two companies, worked for some of the most discriminating clients in the world, and is now, along with her private practice, founding chair of a pioneering educational program that will produce the world’s next design leaders: MFA Design for Social Innovation at SVA in New York. 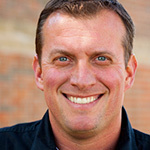 Rich Hollant is the principal, lead strategist and a design director at co:lab in Connecticut. For 25 years, he developed honest work that inspired positive action for clients like Motorola, P&G, Aetna, Travelers and other corporations. Today, co:lab works exclusively with nonprofits, communities, corporations and enterprises committed to social profit such as American Cancer Society, Haiti Cultural Exchange, Human Rights Institute, United Technologies, United Way and dozens of towns throughout Connecticut. Hollant and his team have earned numerous design and strategy awards and their social value work is in the permanent collection of the Library of Congress. He is an alumni of Boston University and The Museum School, a Connecticut Youth Service Leadership Award Recipient, the Development Chair of Compass Youth Collaborative, and past president of AIGA Connecticut. He has a deep commitment to being genuinely helpful and to the centralized placement of social initiatives within economic/community recovery models. Linda Joy Kattwinkel is a painter and former graphic artist as well as an attorney and mediator for the arts community. As a member of the small firm Owen, Wickersham & Erickson in San Francisco, she represents clients in intellectual property and arts law issues such as copyright and trademark protection, infringement, licensing and gallery contracts. She is the author of “Legalities,” an online column for the northern California chapter of the Graphic Artists Guild. Denise Korn is the Principal of Korn Design, a nationally recognized brand strategy and design firm with offices in Boston and New York. Korn has worked with a wide range of clients delivering groundbreaking strategic work for top-of-class developers, entrepreneurs, chefs and institutional leaders, providing expert consultation on an equally wide range of assignments in the categories of leading hospitality, restaurants and luxury goods. In 2003, Korn founded Youth Design, a nonprofit organization one of the nation’s leading programs that focuses on addressing the critical socioeconomic needs of urban youth by teaching them highly marketable design skills, giving them access to committed professional mentors, and supporting them along the path toward higher education by introducing them to viable career opportunities in the design industry. Youth Design is helping to shape the next generation of diverse design professionals through its robust workforce development and educational initiatives set in the context of design and promoting diversity in the creative economy. Korn graduated from Cornell University where she received a Bachelors of Fine Arts in fine art and photography through the School of Architecture, Art and Planning. Korn served as co-president of the New England Creative Economy Initiative and currently sits on the Advisory Board for the Boston chapter of AIGA Boston, and the Design Industry Group of Massachusetts (DIGMA). Patrice Martin is the co-lead and creative director of IDEO.org, the nonprofit organization started by IDEO to address poverty-related challenges through design and to encourage the use of human-centered innovation in the social sector. Martin's work at IDEO.org focuses on partnering with nonprofits, social enterprises and foundations to deliver innovative solutions to problems that affect low-income communities. She’s worked across a diverse set of challenges, including youth employment, early childhood learning, scalable solutions for water and sanitation, financial inclusion and more. She also created and stewarded HCD Connect, the online platform to build community amongst human-centered practitioners, a now vibrant website with 10,000 plus users. Before founding IDEO.org, Martin was a design director with IDEO and her work spanned large-scale social change in the private, public and social sectors, with clients including Nike, Mayo Clinic, The American Red Cross, Gates Foundation and Marriott International. Ravi Naidoo is the founder and managing director of Interactive Africa, a Cape Town based media and marketing company. One of the company's more recent projects has been project managing the First African in Space Mission and marketing of South Africa's Bid to host the 2010 Football World Cup. He also directed the African Connection Rally, the trip from the northern to the southern tip of Africa in April 1999, which promoted telecommunications investment in Africa. Naidoo is the co-founder of CITI, the Cape IT Initiative, a nonprofit company is dedicated to promoting the IT cluster in the Western Cape. He also founded the International Design Indaba, a leading design institution, that's best known for its flagship conference and expo held in Cape Town annually. Most recently, Naidoo founded Your Street Challenge, an initiative to solve hyper-local social problems with creative design solutions, that has been put into place in several in cities around the world. Andréa Pellegrino works at the intersection of strategy, communications and business development for forward-thinking organizations dedicated to driving positive social change. She launched Pellegrino Collaborative out of a belief that partnering with a network of multidisciplinary collaborators is the straightest path to helping clients impact society and building brand reputation. 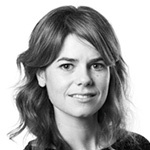 One of her collaborators is Worldstudio where Pellegrino was previously partner and director of social innovation. Previously, she was the director, strategic alliances, at AIGA; where Pellegrino worked with corporate, media and nonprofit clients on sponsorship programs and affiliations and communicated the value of design to the business community, related organizations, and the general public. Pellegrino leads a series of workshops on implementing social change and is a former executive board member of Icograda, the world body for communication design. Shel Perkins is a graphic designer, management consultant and educator with more than twenty years of experience in managing the operations of leading design firms in the U.S. and the U.K. He provides management consulting services to a range of creative firms in both traditional and new media. He has written the “Professional Practice” column for STEP magazine, the Design Business newsletter for AIGA, and the Design Firm Management column for Graphics.com. The revised and expanded second edition of his best-selling book, Talent Is Not Enough: Business Secrets For Designers, is available from New Riders. Shel teaches graduate-level courses in professional practices and he has given presentations and workshops for many organizations, including IDSA, SEGD, HOW, ACD, Dynamic Graphics, STEP, Seybold, APDF, PromaxBDA, InSource, RGD Ontario and the Graphic Artists Guild. He has served on the national boards of AIGA and the Association of Professional Design Firms, and he is currently chairman of the AIGA Center for Practice Management. Emily Pilloton founded Project H Design in January 2008 to use design and hands-on building to improve communities and public education from within. She is also co-founder and instructor of Project H's cornerstone educational initiative, Studio H, a design/build high school curriculum launched in Bertie County, NC, and now housed at REALM Charter School in Berkeley. Trained in architecture at the University of California Berkeley and product design at the School of the Art Institute of Chicago, Pilloton has become a voice for young and emerging designers who believe that design is a valuable process for improving life worldwide. She is the author of Design Revolution: 100 Products that Empower People, a Pop!Tech Social Innovation Fellow, has appeared on the “Colbert Report” as well as dozens of other global conferences including the TED Conference. Her work has been highlighted in the New York Times, Forbes, Fast Company, National Public Radio, Architectural Record and others. Doug Powell is a designer, entrepreneur and strategist. Together with his wife, Lisa Powell, he founded the Minneapolis-based Schwartz Powell Design in 1989. In 2004, following their daughter Maya’s diagnosis with Type 1 diabetes, the couple launched Type1Tools to bring well-designed, kid-friendly tools to the daily experience of managing this complex disease. Type 1 Tools was a recipient of an INDEX Design to Improve Life award in 2006. The success of Type1Tools led to the expansion of the business into HealthSimple, with a vision to help the millions of people living with chronic health problems. In 2007 HealthSimple was acquired by a division of Johnson & Johnson. Powell served as consulting creative director for HealthSimple through 2009, working closely with the Johnson & Johnson Global Strategic Design Office. Currently Powell helps a variety of partners in health and nutrition use design to advance their cause. Additionally, he organizes collaborative teams to develop and pursue self-initiated startup concepts. Powell is a past member and treasurer of the national board of AIGA and a past chapter president of AIGA Minnesota. He is currently the president of AIGA. Robert Sedlack’s academic research is focused on the life-changing impact that design can have when applied appropriately and collaboratively with organizations dedicated to social betterment. Sedlack teaches both undergraduate and graduate design students at the University of Notre Dame, and his course work includes projects that tackle various social issues such as xenophobia, discrimination, gun control, and voter participation. Additionally, he serves as the Department of Art, Art History & Design’s Associate Chairperson and Director of Graduate Studies. As Principal of Sedlack Design Associates, he is responsible for consultation service, design, and execution of a wide variety of print and interactive projects to the business and cultural community. In addition to receiving recognition from HOW, Graphis, Print, and the American Association of Museums, he has been included in Graphic Design USA magazine’s list of “People to Watch” and was recognized by the Indianapolis Peace Institute with a Cornerstone Peacebuilding Award. He served as lead author for Graphics and Visual Communications for Managers. In 2009, Robert won Notre Dame’s Joyce Award for Excellence in Undergraduate Teaching and had a one-person exhibition of his design work at the South Bend Museum of Art. In 2011, Robert won two American Graphic Design Awards for the design of Parallel Currents, an exhibition catalogue, and Words for Paintings, a monograph showcasing the work of painter Jason Lahr. Christopher Simmons is a designer, writer, educator design advocate and founder of the noted San Francisco design office, MINE™. He is the author of four books; the most recent, Just Design, focuses on designing for social issues and critical causes. In addition to his own blog, Teaching Design, he writes sporadically for a variety of publications and organizations including AIGA, HOW and Monster.com. He is an advisor to Project M and an adjunct professor of design at the California College of the Arts. Jim Taylor is cofounder and chief executive of Proximity Designs, a social enterprise that designs, makes and markets affordable products and services to rural families in one of the poorest countries in the world, Myanmar. Over the past nine years Proximity has designed eight different small-plot irrigation devices, three farm advisory services and three agricultural financial services. A leader in designing for extreme affordability or frugal innovation, all of Proximity’s products cost under $40 and are manufactured locally. Proximity has partnered with Stanford’s Design Institute (d.school), Harvard’s Ash Center, IDEO and Tomorrow Partners on a variety of product and service design projects. Taylor has lived and worked in developing countries in Asia for over 20 years in both the private and public sectors. His current home is in Yangon, Myanmar. Taylor holds an MPA from Harvard and an MBA from the University of Southern California. Taylor is the recipient of the 2012 Skoll Award for Social Entrepreneurship and was recently named Social Entrepreneur of the Year by the Schwab Foundation. Joshua To comes to Hattery from a product manager role at Google and previous experience as an entrepreneur himself. To founded BRUTE LABS in early 2006 to explore what impact a small group of passionate but fully-employed young people could have. Since its inception, the team has launched over 12 projects which include implementing clean water projects in Africa, tackling childhood obesity through a program called RUN! and distributing maps to homeless resclassents of Santa Monica, California to help them locate services available to them. At Google, To led technology development for global email communications to advertisers, publishers and users. During his time there, he also served as a business development consultant with Google.org. While still in college, To founded the socially conscious clothing brand, RESONANCE. By developing strategic partnerships, To created a global label that was sold in over 50 stores internationally. In 2005, Joshua was named "one of the top 15 college students in America" by Newsweek for the impact he created through thoughtful design aimed at fostering social and political awareness. To holds bachelors degrees in design and communication studies from UCLA. Leslie Ziegler is the Chief Evangelist and part of the founding team at Rock Health, a San Francisco-based incubator for early stage digital health start ups. Rock Health brings together the brightest minds in technology, medicine, investment and corporate to find new ways to address issues in the health care system through technology. Prior to Rock Health, Leslie worked as one of the first employees at an early stage start up, and spent over eight years in advertising, at agencies including McCann Erickson and DDB, with clients ranging from (RED), Starbucks, Intel, Pepsi and Microsoft. Leslie is an avid photographer, reader, runner and traveler. Christi Zuber is a nurse with a passion for design. She is the co-founder and leader of the Innovation Consultancy at Kaiser Permanente, whose purpose is to develop human-centered designs that positively impact the experience of patients and the clinicians who care for them. Zuber has partnered with IDEO to learn and internalize a human-centered design methodology into Kaiser Permanente. She and her team have spent thousands of hours of time shadowing, conducting ethnographic observations in clinics, hospitals and patients’ homes, and field testing ideas in the front lines of health care. A few of the projects developed using this methodology include a nurse shift change initiative, called Nurse Knowledge Exchange (NKE), which the Institute for Healthcare Institute named a best practice in health care, and a medication administration solution, called KP MedRite, named a good practice by Joint Commission on Accreditation of Healthcare Organizations. These solutions have been spread across Kaiser Permanente’s 37 hospitals and have even been implemented abroad. Zuber has a master's degree in health administration and a bachelor of science in nursing from the University of Oklahoma.